Between lectures, labs, a planetarium show, rooftop observing of stars and the International Space Station, visiting the Wyoming Infrared Observatory (WIRO), and hanging with SF writers and astronomers, I’ve not had a great deal of time to blog. Never fear, dear readers, for it’s been a remarkable few days thus far. I’ve crammed so much new learning into my head that I feel like a forming star with all this knowledge whirling and coalescing. This was to be expected as it has been decades since my formal astronomy training took place. So much has been discovered in the intervening years! In the compressed time we had, we just scratched the surface on a lot of topics.Thankfully, I’ve gotten myself equipped with a space-station’s worth of cool resources to draw upon when I’ll need to go into greater depth on … well on lotsa stuff from the Big Bang to the end of the Universe. I’ll go into more detail later, but for now, here is WIRO, housing a 2.3 meter telescope, which is perched at 9656 feet in altitude with gorgeous views in all directions, courtesy of awesome writer Alan Gratz. I received some exciting news the other week. 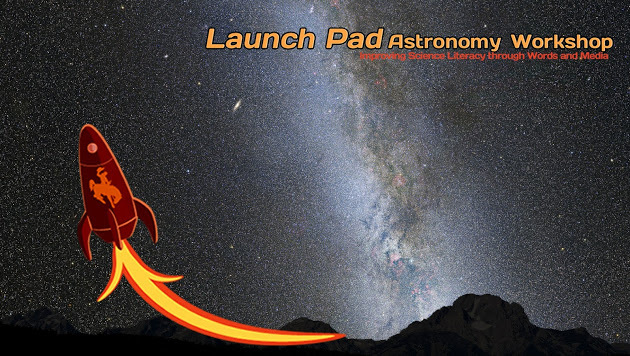 My application for the Launch Pad Astronomy Workshop has been accepted. This is a relatively new writers’ workshop, put on by astronomers, whose mission is to teach some of the basics of astronomy to science fiction writers, editors and others. The idea is that the writers chosen will enhance their understanding of stars, planets, galaxies, space travel, etc. That means their own works will be based on a stronger scientific foundation. In turn, these writers will play a role in spreading scientific literacy to their audiences, and thus encourage young people, particularly those under-represented in science, technology, engineering, and math, to go into these vital endeavors. Getting back to me, I’m quite excited about going off to Laramie, Wyoming for a week’s worth of intensive training. 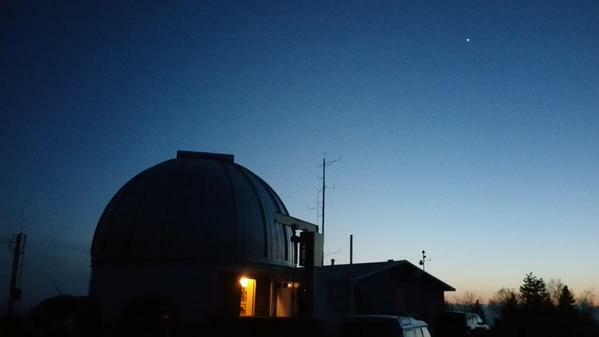 I’ll get a chance to spend some time at the Wyoming Infra Red Observatory (WIRO), so how cool is that? But I’m not going there to burnish my coolness quotient. Or at least that isn’t my only reason. You see, I’ve begun several different stories for which I simply need to know a lot more about astronomy, living on and traveling between other planets and their moons, and certain basics of physics and cosmology. Oh sure, I do consult various sources to try to get up to speed on my own, and there are local educational opportunities. But Launch Pad strikes me as a great way to jump-start things. As I proceed along this path, I intend to blog about both my advance preparation for Launch Pad over the course of the next nine weeks, my experiences once there, and eventually how Launch Pad will have influenced various stories of mine. In part, I want to ascertain that you don’t need an advanced degree in the hard sciences, or even much recent scientific training, to do all right with something like this. Take me as an example. My last formal education in physics, chemistry, biology, geology was decades ago. So I hope you’ll all come along with me as I turn my focus to stars and planets and such.